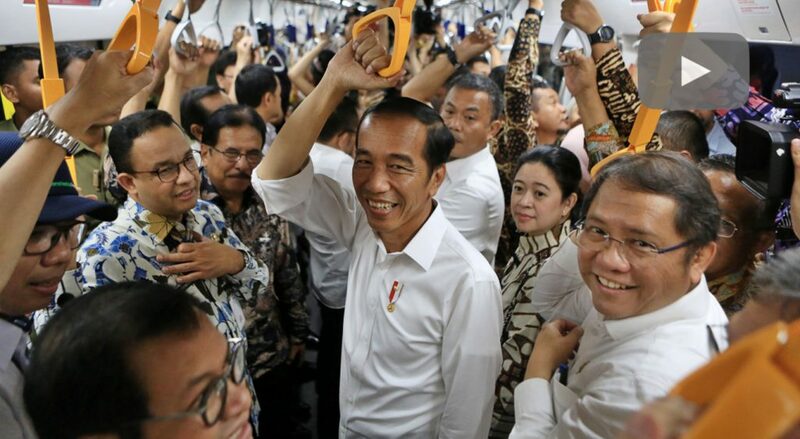 President Joko “Jokowi” Widodo inaugurated on Sunday the first phase of the Jakarta Mass Rapid Transit – vital infrastructure e xpected to reduce some of the world’s worst traffic congestion. “Today marks a new era we will have with the first phase of the MRT being operational,” President Jokowi said in his keynote address. “Be patient and make sure you follow the queue. Don’t jostle with each other. Be disciplined, by making sure you know the schedule. Don’t let yourself get stuck in the door when the doors close,” Jokowi said in a joking tone. Additionally the MRT will attempt to enforce a no food or drink policy. Fares are heavily subsidized as they are on most mass transit systems worldwide.